The Petzl Reactik+ headlamp is a Bluetooth enabled 300 (max) lumen headlamp that makes illuminating camp a breeze and regulating the light you need a snap. I exclusively used this headlamp while traveling to The Balkans in Eastern Europe for 6 weeks and had ease keeping the lights on no matter where I was staying. Headlamps have always been a piece of gear that I hated to buy and saw them as a necessary evil. Of course, you need to have some source of light while you are camping but dealing with batteries can be a nuisance and inevitably you forget a few extras and must deal with a lamp that just is not bright enough. The Petzl Reactik+ headlamp is the first headlamp I have ever used or owned that I am truly excited about because it solves a lot of the short comings that many headlamps have, and it does it with 2 key pieces of Petzl innovation. The first innovation is the Reactive Lighting technology. 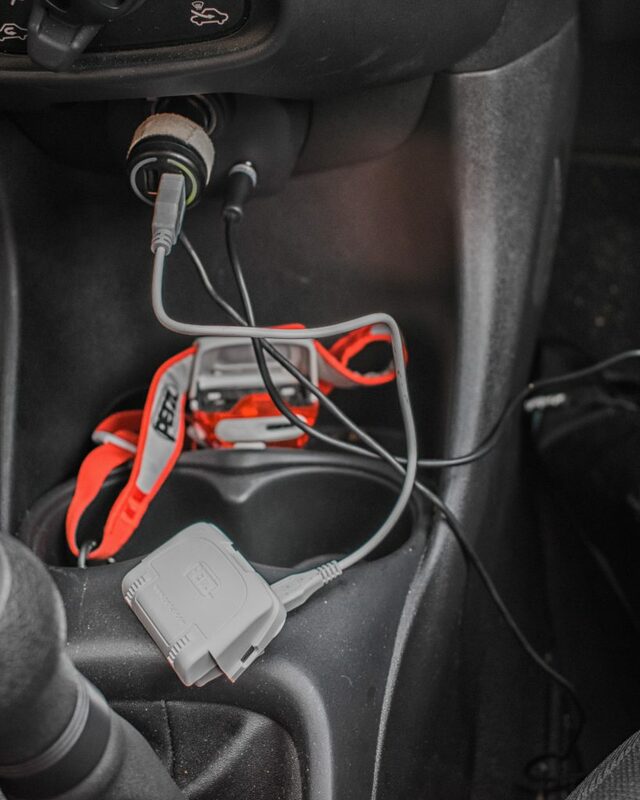 This wonderful piece of ingenuity means the headlamp has a sensor on the front that reads the amount of light that is hitting the sensor and adjusts the amount of lumen output of the lamp. That sounds a bit more confusing than it really is so picture this: you have just finished a day of climbing in a remote area in the Balkan woods and it is well past sunset. You pull on the headlamp to start cutting the vegetables for dinner. While cutting the veggies in front of you, you need the headlamp to be on low so as not to blind yourself and loose a finger– but suddenly you hear noise 100 feet away in the darkness. 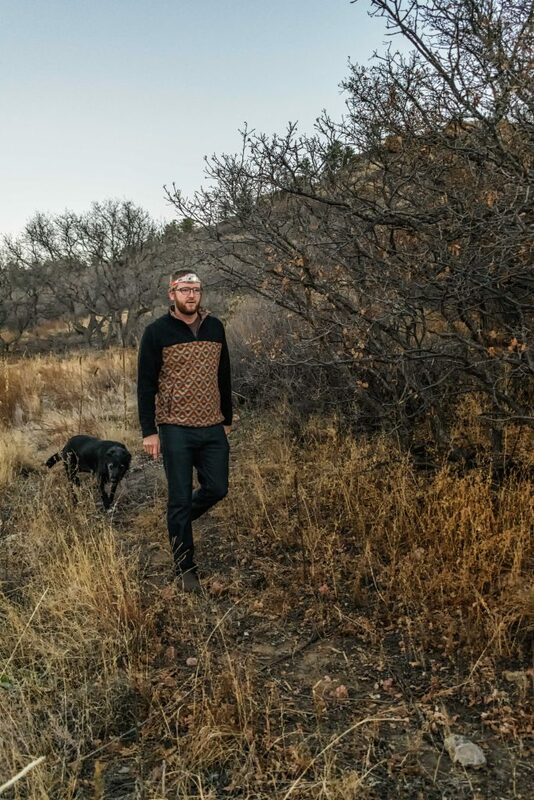 You have a chef’s knife in one hand (great for defense) and julienned peppers in your left (great for dinner) – no free hand to adjust your headlamp for the change in distance. 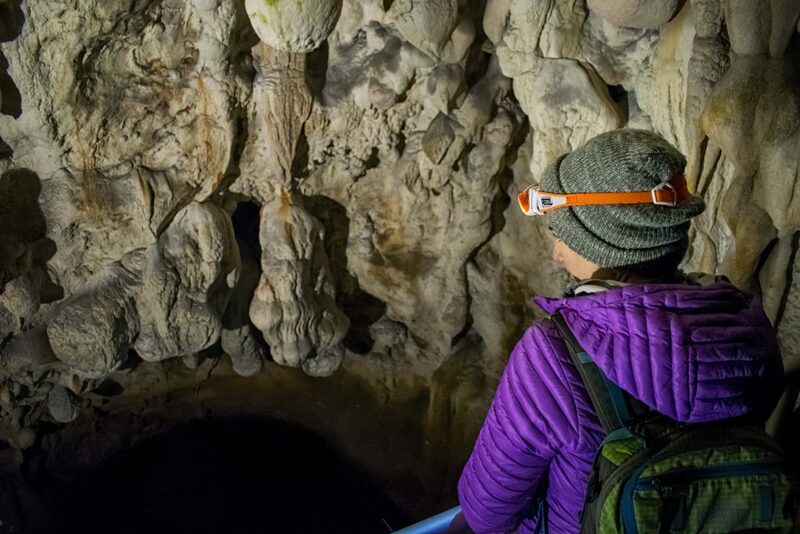 With Petzl’s reactive technology there is no need for another hand: it reads the change in light and boosts the 30-lumen wide beam you were using to a blinding 300-lumen focused beam all on its own. You quickly realize the noise was your campmate and return to prepping dinner – the lamp returns to the dimmer light once you look back down at your cutting board effectively making this headlamp handsfree. 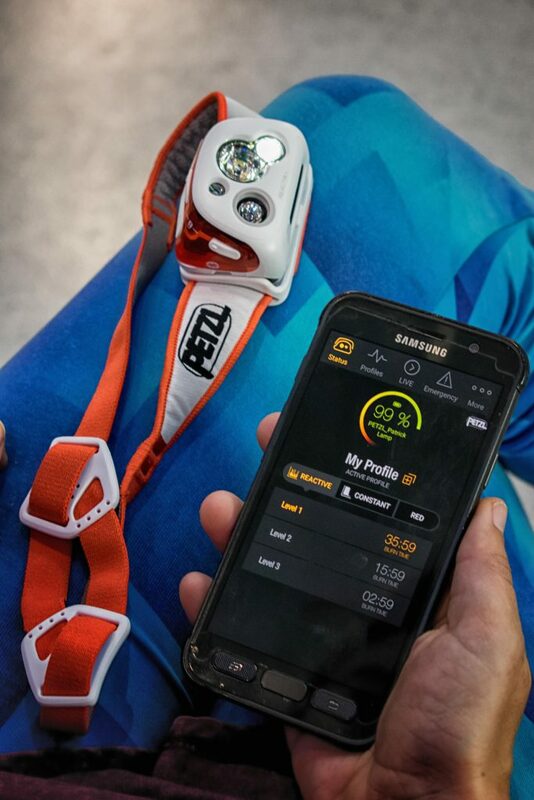 The second Petzl innovation that makes this headlamp a must have is the Bluetooth enabled aspect and the accompanying Petzl MyPetzl Light app. This feature means you have full control over how your headlamp operates. It is safe to say that every time you are outside after sunset it is a unique situation and your lighting needs are different than the time before. Only out for an hour and a half and you need 300 reactive lumens the whole time? Or maybe you are gone for 3 or 4 days without a way to recharge the lamp and you only want a low lumen non-reactive lamp. The app allows you to control all of this through its profiles. You can use the preset profiles or customize your own in which you get to choose the 3 brightness levels for both a reactive setting and a non-reactive setting – the top button on the lamp cycles through your 3 levels of reactive lighting while the side button cycles through the standard lamp levels. The lamp comes with a rechargeable 1800 mAh Lithium-Ion battery that is removable and could be replaced with a battery pack (not included) that holds 3 AAA batteries if you wished. Another key feature is that this rechargeable battery does not need to be removed to be charged: a charging cover on top can be moved to access the micro-usb port to plug in the lamp and get a full charge in four and a half hours. 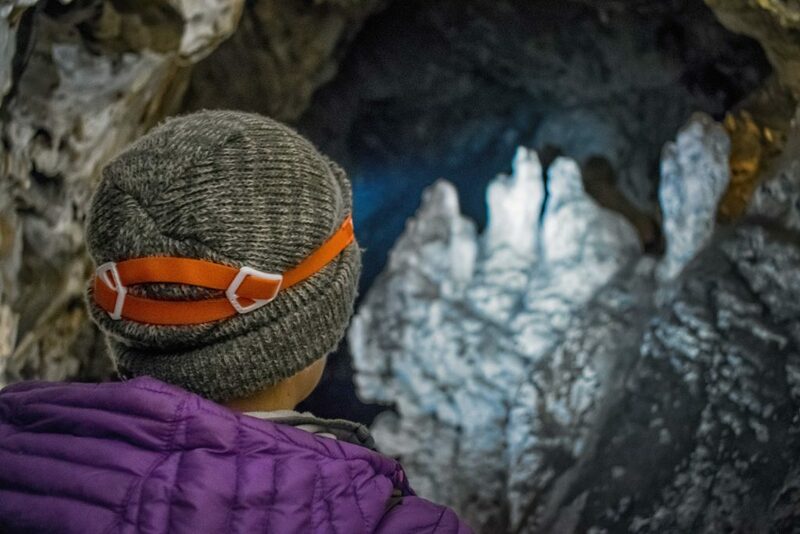 I have always hated the standard headlamp band and how it adjusts – Petzl once again figures out a way to fix this lack-luster standard by creating a new and patented band that is far superior to its predecessor. It operates just like a double fisherman (for you knot-centric folk): the band is weaved through two separate pentagonal plastic doodads that slide back and forth on the band. Pull them away from each other and the band tightens; push them together and it loosens. Once the band is adjusted to the ideal size it stays put no matter what you are up to. The material of the band is reminiscent of a sweat band and is touted to be washable and absorbent. There does not seem to be a way to remove the plastic holster that holds the actual lamp, so I recommend a hand wash only on the band. MyPetzl Light app is a bit buggy and glitchy but is still fully functional. Improvements coming soon. Hands down the best headlamp I have used to date. Others might be brighter, smaller or more “basic” but if you want a headlamp that you can make work for you and your needs as an adventurer than this Bluetooth enabled, multi beam (with red) reactive headlamp is for you! 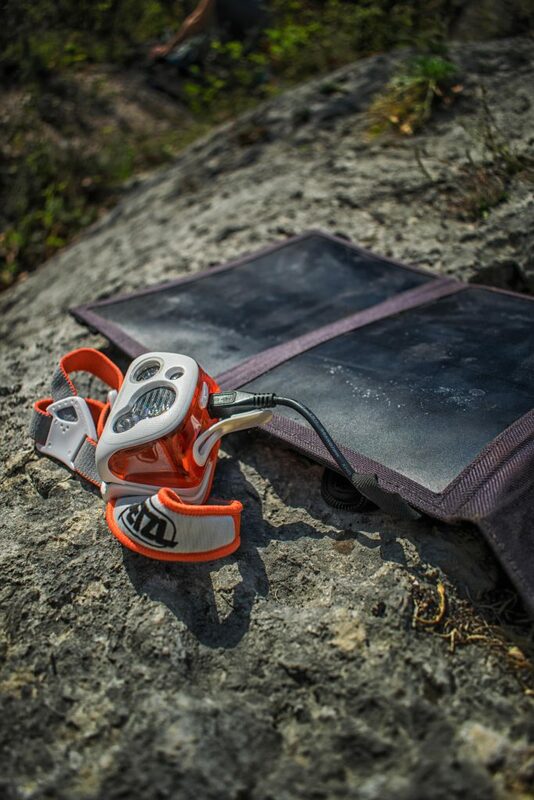 Shop the Petzl Reactik + on Outdoor Prolink today. Not a member? Apply today! 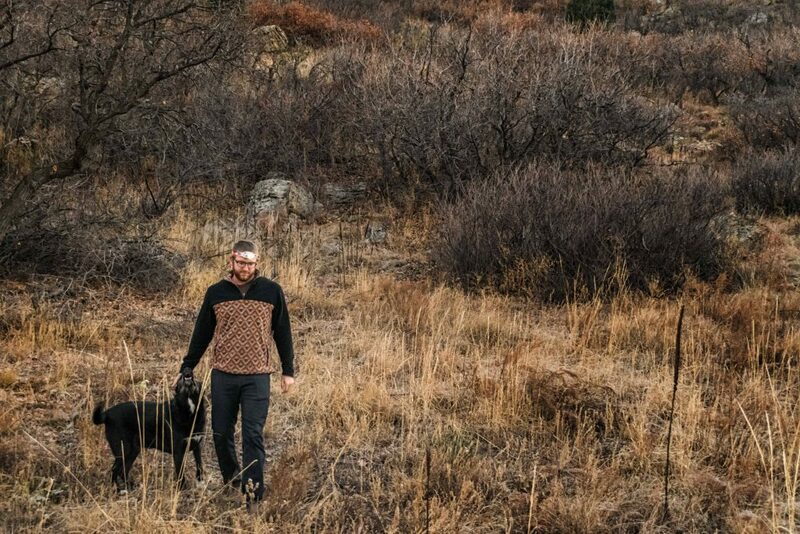 Patrick Betts spends half his year as Head Guide for Front Range Climbing Company in Colorado Springs, Colorado guiding rock climbing across the front range of Colorado and the desert of Utah. The other half of the year he is traveling and climbing all over the world. Patrick is an experienced adventure photographer who enjoys taking photos of people pushing their own limits, and capturing the landscapes of the areas that rock climbing takes you.